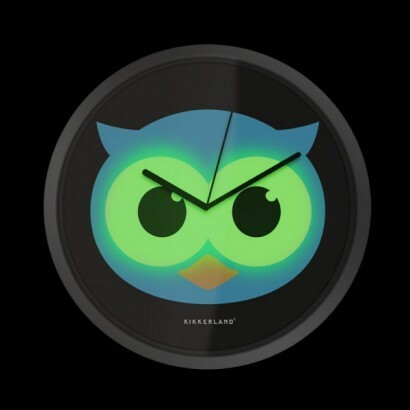 A quirky wall clock with an adorable owl to the face, this night owl clock has a secret.... it glows in the dark! The large white's of the cute owls eyes glow brightly in the dark to offer a soothing night light. Battery operated, this charming wall clock can be placed anywhere in your home, but particularly makes a fun decoration for a child's room providing gentle light as they drop off to sleep. Great service. Ordered 23rd December, turned up next day, was not expecting that.